Hands down, this is one of the most realistic contemporaries I have read in a long time. Everything from the events, to the friendships, to how the characters interacted it all actuality had a real feeling to it. Courtney's writing had me laughing one moment and crying the next. Her story is about how to live when your life changes so dramatically, and who will be there for you in the end. Imagine loosing your best friend, and becoming so badly scarred in the process that you want nothing to do with society anymore. Most of us will shake our heads and say how that will never happen. But it did for Sadie. After a normal day with her friends, Trent collided the car he was driving with a tree killing himself, and injuring his brother Max and Sadie in the process. When the story begins, almost a year has passed. Max and his family left for El Salvador shortly after Trent's death, Sadie doesn't really speak to her best friend Gina, or her ex-boyfriend Gray anymore and she now has scars all over her face that she names and draws on with sharpies. Her parents plan on sending her back to the school in the fall and to socialize with her old friends, but nothing is the same anymore. The Lies About Truth is about a lot of things, but the biggest is Sadie learning to live again after her life was turned upside down. I've read books because where the main character was injured in an accident, or lost their friend and I usually end up hating them because all they do is whine and complain about everything. Sadie, she wanted to live again. She made lists of things she wanted to accomplish. Wearing a tank top, shorts, walking at graduation is just a few of them. Sadie just didn't know where to start. Yes, she had her moments and she was allowed them. If I could pick any character from a book to be proud of it would be Sadie. I could never imagine going through half of what she did. In the beginning I was terrified of a love triangle due to Gray's confession that he loved her still. There is no love triangle! Sadie quickly shoots him down. He was part of an old life that she no longer wants a part of. I was worried about the romance when Max came home from El Salvador, Sadie never sent any pictures of herself since the accident to Max, so he didn't know what she looked like at all. My favorite thing is how he tells her she still looks the same. Gray can't even look her in the eyes. The romance in The Lies About Truth was both beautiful and tender. Overall I loved The Lies About Truth. I can't wait to read more from Courtney soon. She is an incredibly talented writer. 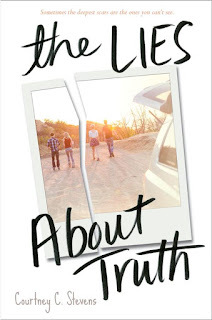 The Lies About Truth is beautiful story that I recommend anyone looking for a fairly quick contemporary read. I haven't read anything by Courtney before, but I've heard great things about her debut. 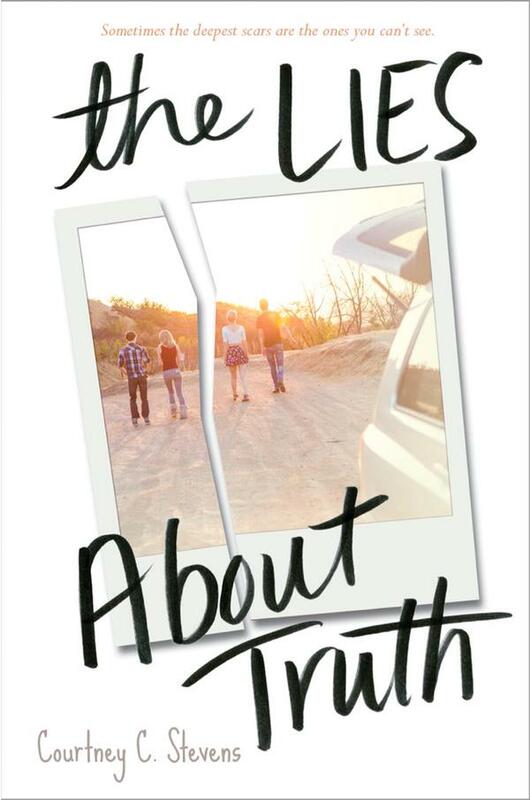 I didn't know what The Truth About Lies (great title) was about until now, but after your review I'm intrigued. Contemporary is my favourite and this sounds like something I might enjoy. Off to add it to my Goodreads TBR. Amazing review! This one sounds *really* good. I read Faking Normal by Stevens last year and enjoyed that one. I love that this one sounds so realistic and emotional... and doesn't have a love triangle. (Hallelujah.) I'll definitely be checking this one out.